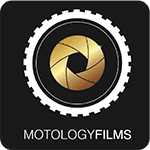 Molology Pty Ltd’s (Motology) Privacy Statement has been created because we value our users and recognise their right to keep personal information private. This statement discloses our information gathering and dissemination practices for Molology. Molology collects information on our site visitors collectively including which sections of the site are most frequently visited, how often and for how long. This data is always used as aggregated, non-personal information. Molology utilises this information to improve and enhance our services by monitoring the areas on the site which are most popular to you. This aggregated information may be shared with Molology partners to provide them with an overview of how Molology visitors use the site. This is done for the purposes of providing you with a more efficient site. Molology’s web servers gather your IP address to assist with the diagnosis of problems or support issues with our services. Again, information is gathered in aggregate only and cannot be traced to an individual user. This aggregate, non-personal information is collated and provided to Molology to assist in analysing the usage of the site. As part of registering with Molology, we collect personal information about you in order for you to take full advantage of Molology’s services. To do this it may be necessary for you to provide additional information to Molology as detailed below. Registration is completely optional. However, registration for Molology services allows you to take advantage of more of the tools and resources to assist you with any Media you may require. Registration includes submitting your name, email address, address, company, company classification, telephone numbers, option on receiving updates and promotional material. You may access this information at any time by clicking ‘Manage my account’. Molology also provides you with selected information about our Media and website changes in our email newsletter. This free service is sent to registered users and provides the option of opting out of receiving these by changing your preferences in ‘Manage My Account’. Molology may also make you aware of additional products and services which form part of your relationship with Molology. Molology takes reasonable steps to ensure the security of our system. Molology allows you to access your information at any time to keep it accurate and up to date. Any information which we hold for you is stored on secure servers. In addition, our employees and the contractors who provide services related to our information systems are obliged to respect the confidentiality of any personal information held by Molology. However, Molology will not be held responsible for events arising from unauthorised access of your personal information. You can also play an important role in keeping your personal information secure, by maintaining the confidentiality of any password and accounts used on the Molology site. Molology provides links and passes to third party sites. The use of your information by these third party sites is not within the control of Molology and we cannot accept responsibility for the conduct of these companies. Molology welcomes ideas and feedback about all aspects of the site. Molology stores feedback that users send to us. This feedback will be used to administer and refine the service and may be shared with Molology partners either in aggregate form or with specific identifying characteristics removed. In some instances you may provide comments to us regarding our services. These comments may be displayed on our website to other users, if you do not wish for your comments to be displayed please email admin@molology.com.au and we will remove your comments. From time to time, Molology may review and update its privacy statement. Revised versions will be updated on the website.